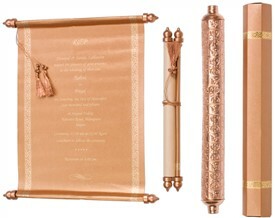 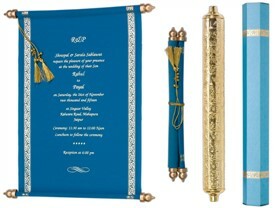 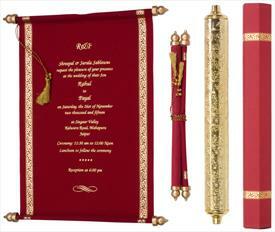 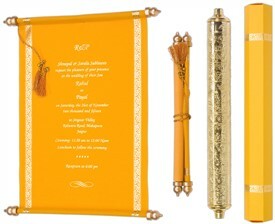 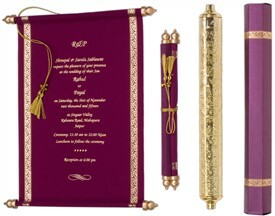 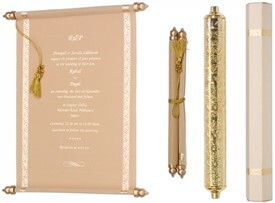 S951, Gold Color, Scroll Invitations, Jewish Invitations, Anniversary Invitations, Box Scrolls, High End Scrolls. 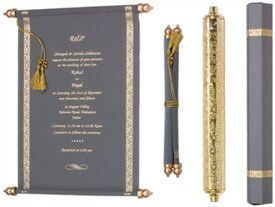 Scroll in White wooly paper with golden ends and matching tassel. 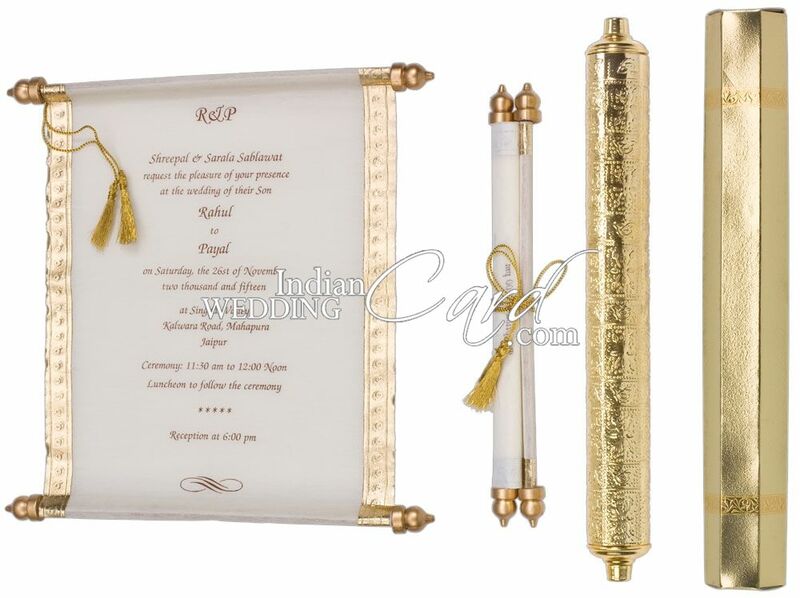 Gold polished Metal tube (Copper metal). 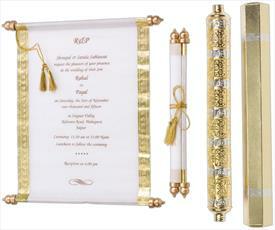 Mailing box envelope in self textured Gold color paper (240gsm).